I was visiting Allsorts and she has THE cutest coaster pattern. 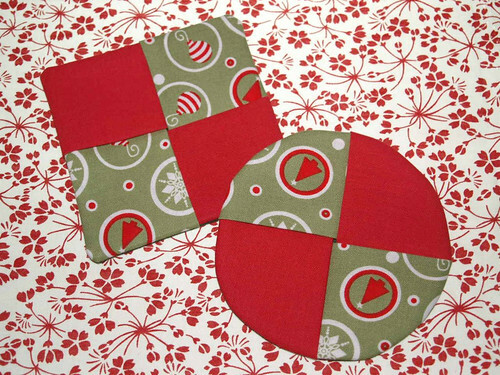 If the coasters aren’t cute enough… her pattern is even cuter! I decided to try the coaster as a circle. Those are some cute coasters my friend. Very cute - now how do you do the circle ones?? Those are darling. I like that fabric! These are so cool… were they very hard? Could a beginner like me do it? Hey Monica… did you guys make it through last night’s storm? The wind took out a huge tree in our back yard…can you believe those winds?? Hope you are safe and warm.